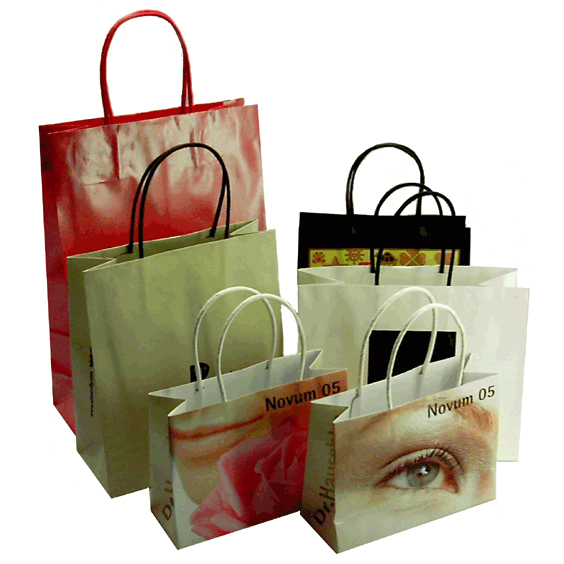 We supply a J-Fixed handle for this style of carrier bag. This style of carrier bag has a turnover top, folding over a tape handle using a cut out J shape which conceals the paper patch attaching the handle to the bag. These can be printed up to full colour and optionally have a lamination of glossy varnish. Material: White or brown kraft paper,art papers available. Handle: Twisted paper fixed internally plus turn over top. Sizes: If required, these can be produced to exact sizes or the nearest machine settings. Printing: 1 colour up to full colour and extra spot colours.